Goal: To foster a spirit of teamwork and achieve longer-lasting individual and collective success. How can collective goals and personal ambition coexist? How can individual talent and collective performance be harmonized? How can complementarity and durability be fostered? During my presentation I discussed the less obvious themes of the Tandem documentary, which charts my climb up Mont Ventoux on tandem bicycle with Guillaume Buffet (my colleague at JCPMY). I highlighted the lessons to be gleaned from this adventure and applied to our daily personal and professional lives. It is vital to me to ensure that each viewer makes this story their own and finds ways it can improve the way they work with others and their productivity. The adventure and sporting elements should be secondary. What can be emulated? What universal lessons can be learned from this sporting event? This is what is important to me about this conference. The possibility of overcoming obstacles with the help of others and starting a project with less than 100% certainty. The reciprocity of commitment and trust in others. The role of honesty and communication in developing complementarity. Openness to others and the ability to question oneself. The importance of enjoying what you do and the ability to manage the unexpected. To close the loop—not the Tour de France but teamwork—I reminded the audience that the single most important act is to prioritize the individual and his or her ideas, and to look beyond theoretical knowledge to knowhow and soft skills. I have no shortage of concrete examples from my entrepreneurial career, but my favorite is when a self-taught employee was asked to present to a ministerial cabinet the conclusions of a call for tenders we had been awarded. What a road traveled by our colleague! After the conference, our guests were invited to express their opinions and help further our understanding. Joining me were Laurence Fischer (founder of Fight for Destiny and triple karate world champion) and Raymond Domenech (president of UNECATEF, retired French footballer and former manager of the French men’s national team). What similarities exist in commitment and motivation between an individual sport and a team sport? In a world (football) where salary takes precedence over growth and appreciation, what room is there for teamwork? Are goodwill and the desire to defeat an opponent compatible? Does being honest sometime mean hurting someone? What mistakes have these two men made that may help us in our own teamwork? What are their present and future plans? These were questions Laurence and Raymond answered honestly and without inhibition. A big thank you goes out to these two men and l’ESSEC business school for trusting me with organizing this event and once again demonstrating their pioneering spirit in accepting to go beyond set scripts and presumptions. 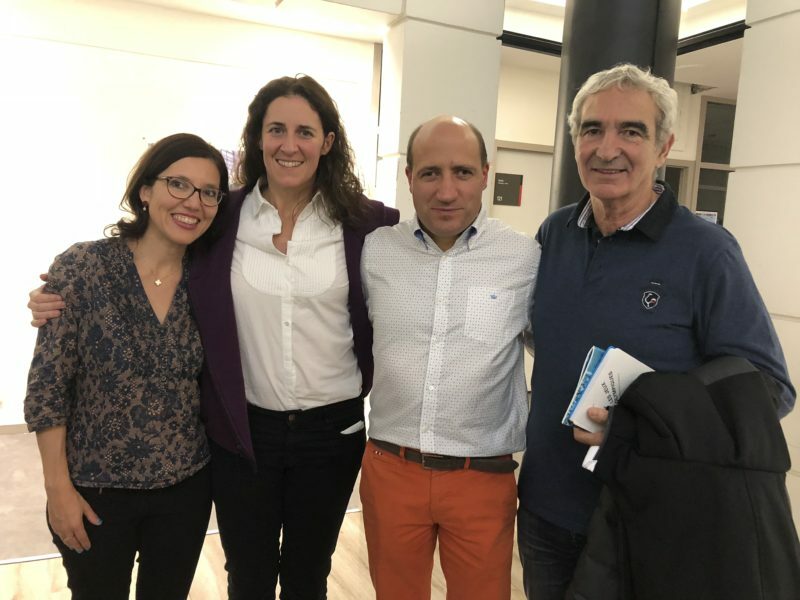 Share the post "My Conference on Performance and Teamwork at l’ESSEC Business School’s Executive MBA Program with Participation from Laurence Fischer and Raymond Domenech"